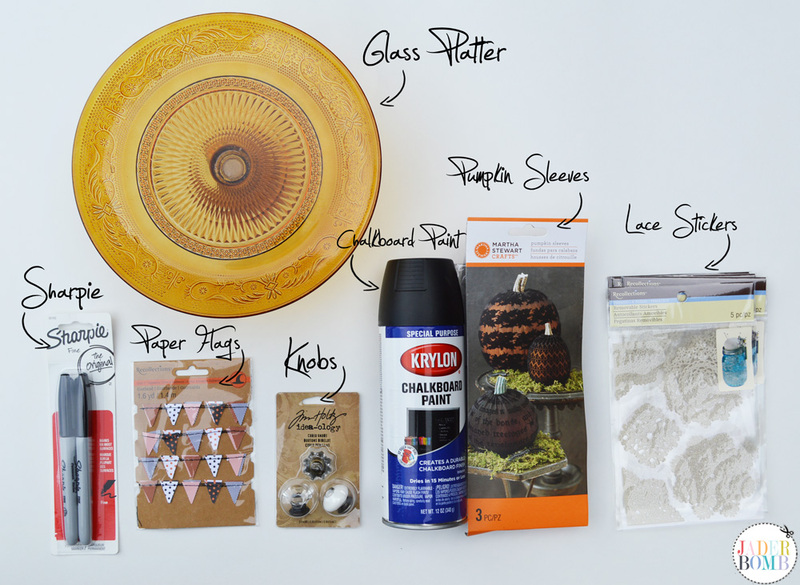 This month’s theme for Michaels Makers is Fall Home Decor. Fall is my favorite because the weather is changing, the leaves on the trees are changing, even food tastes better. 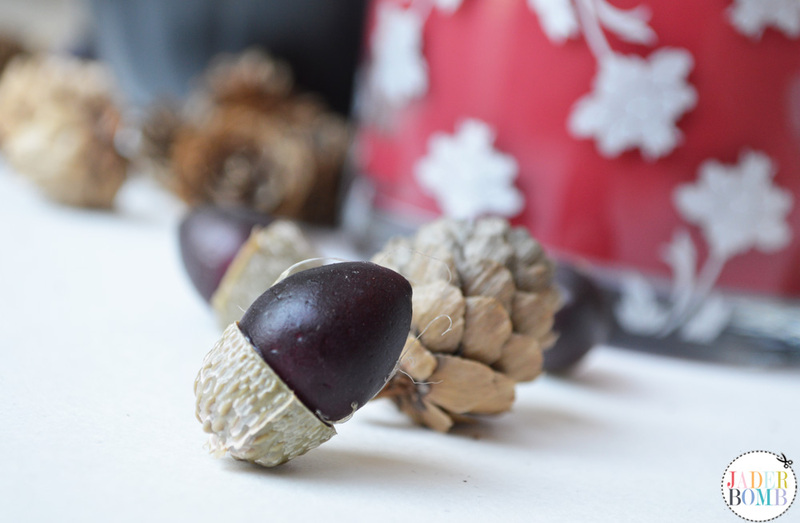 Today I will show you how to dress up your table with a punch of Fall, surely this will make all of your guests excited! All of the materials I am using today come from Michaels. I hope you enjoy it! 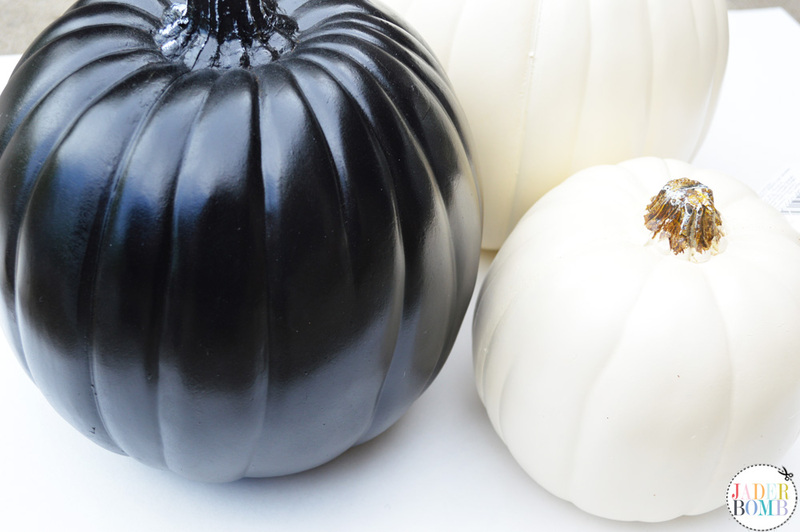 These pumpkins come in different colors so you don’t have to spend time painting them, my kinda pumpkin. They are on sale right now at Michaels so go grab a few. 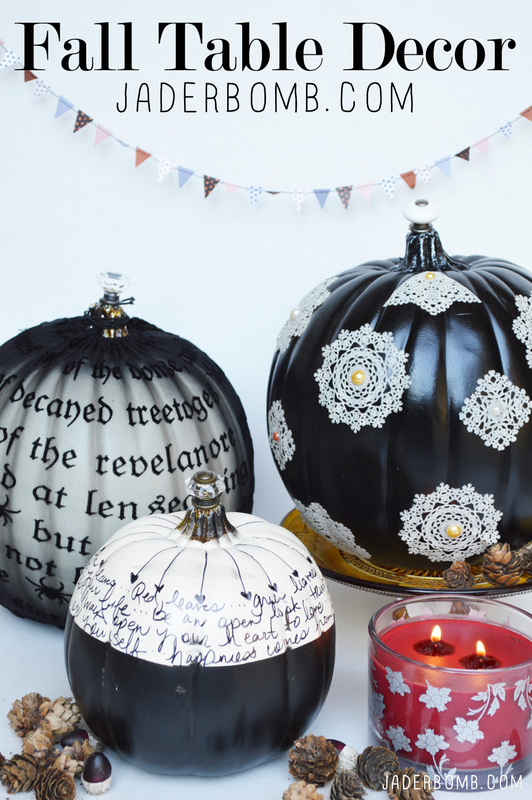 You can do so many different things with these pumpkins. 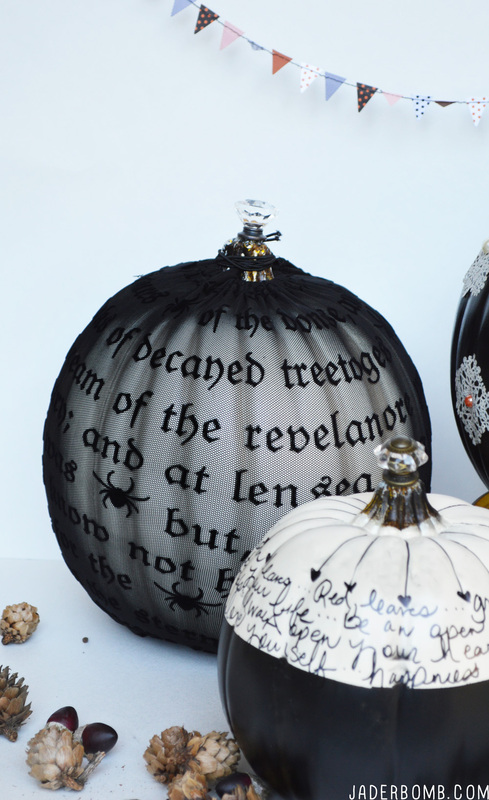 The best part of these pumpkins is they will never rot! 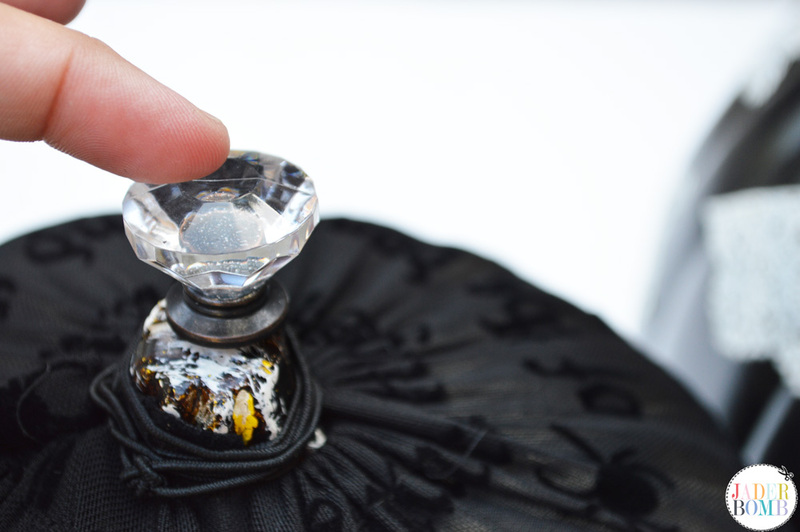 So you can bedazzle your hearts away and save them for next year. These Martha Stewart pumpkin sleeves are phenomenal. They are made from a stretchy mesh material that can cover a pumpkin in no time. The best part is you can take the sleeve off when you get tired of it, leaving you with a blank canvas! 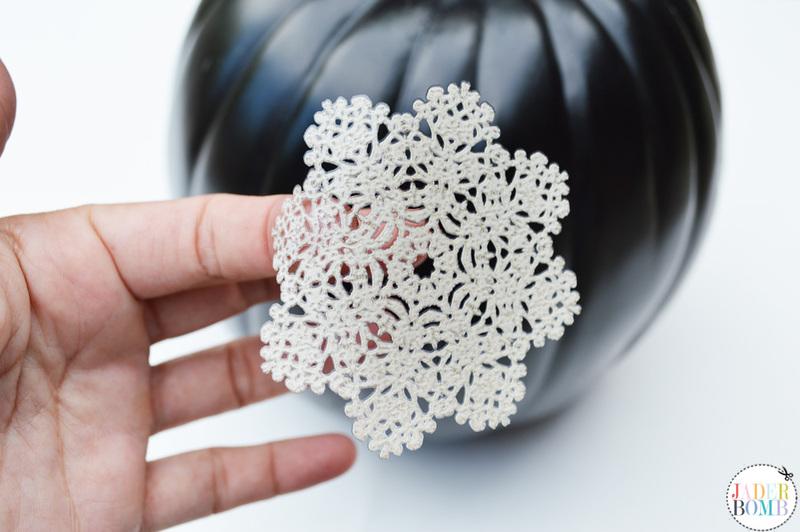 I love the lace design on this pumpkin sleeve. 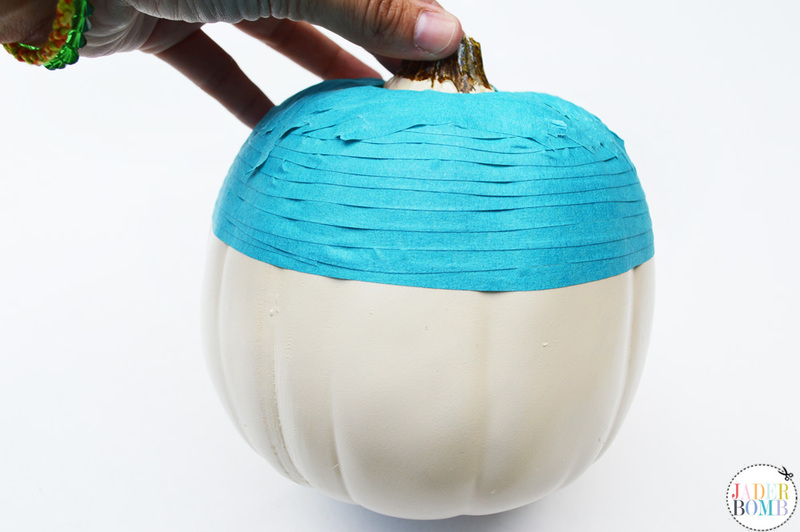 To make our chalkboard pumpkin, tape off the top part of your pumpkin. 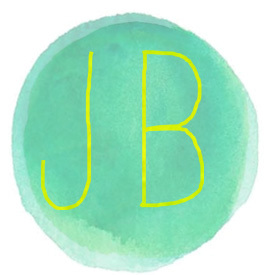 I am using tape from Martha Stewarts line. 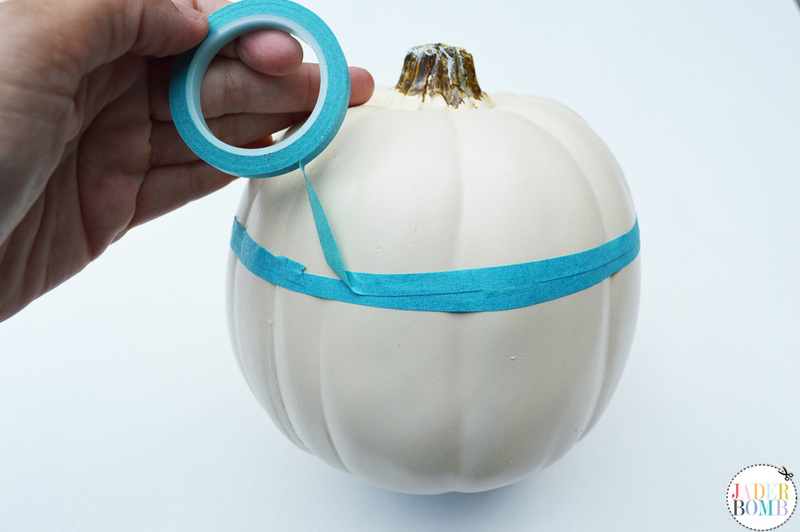 Once you have it taped off you can spray paint the bottom portion of your pumpkin with chalk board spray. Make sure you do this in a well ventilated spot. Add some E-6000 to the top of your pumpkin and place the knob on the top of it. 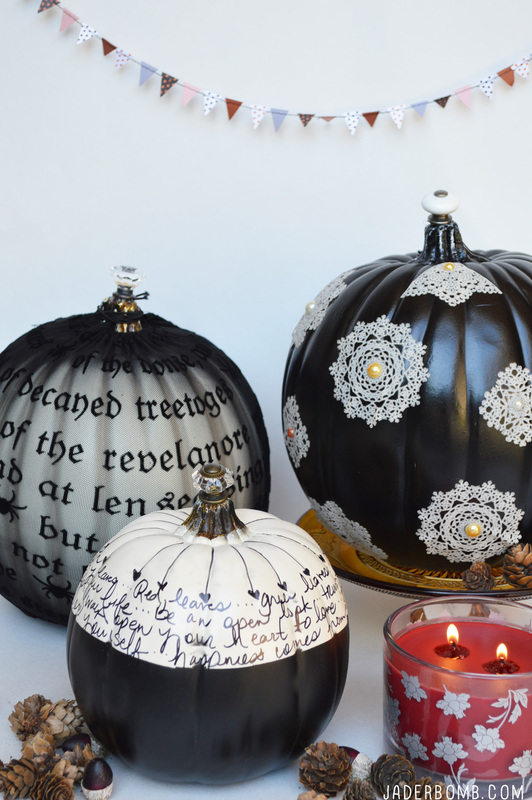 This will make your pumpkin look a very classy. 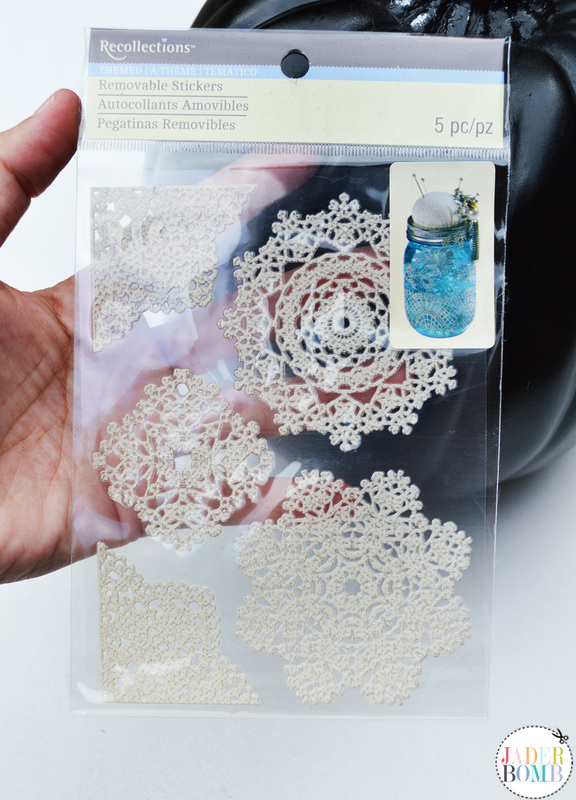 On one of your plain pumpkins we will apply these lace removable stickers to them. It adds a pop of class to them. 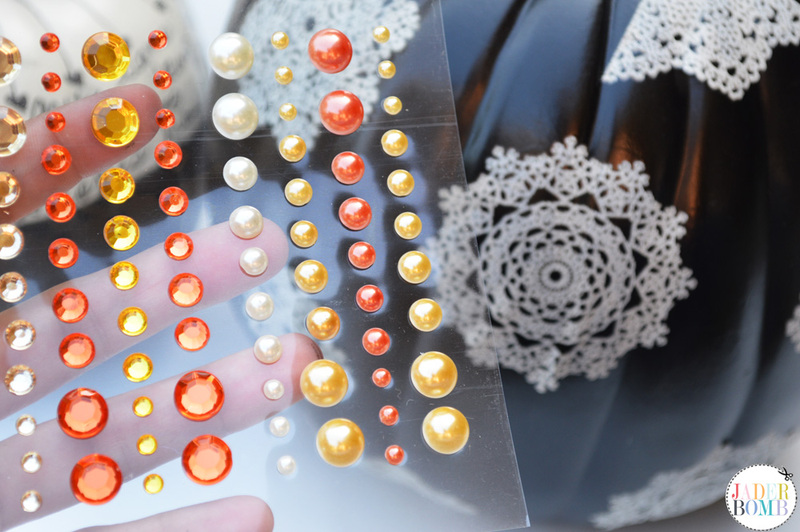 I am placing these adhesive dots on top of each lace sticker. The great thing is you can purchase these in multiple colors. Did I mention this whole sheet is only $1. On your chalkboard pumpkin, grab your Sharpie and write whatever inspires you on the top portion. This is a great time to grab your favorite quote or poem. Don’t forget to grab some chalk for the bottom part. Want more Fall inspiration, check out Michaels’ Fall Market lookbook! 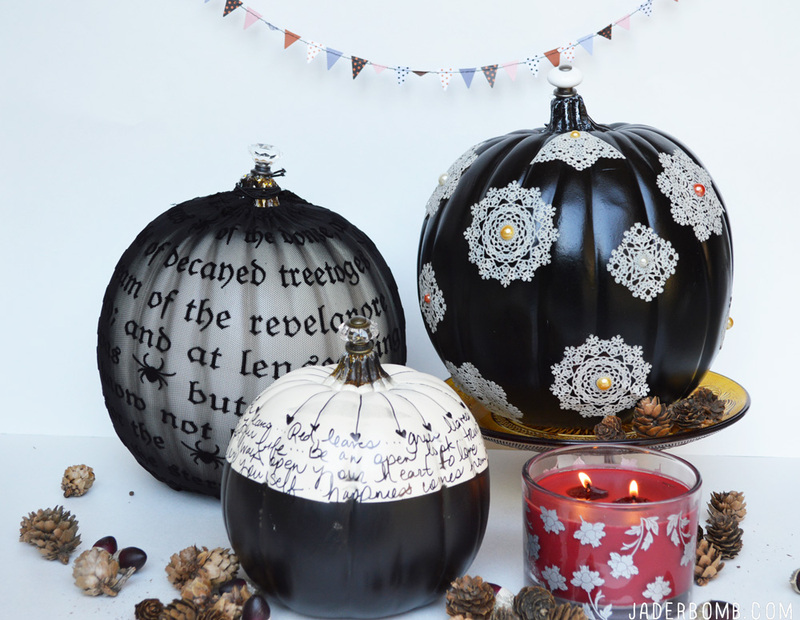 Check out the Michaels Fall Ideas Pinterest board. There are all sorts of easy fall and holiday themed projects for your whole house on Michaels’ Fall Project Page. Great ideas!!! Added to my must try folder! These are so pretty! And I’m not sure which I like best. 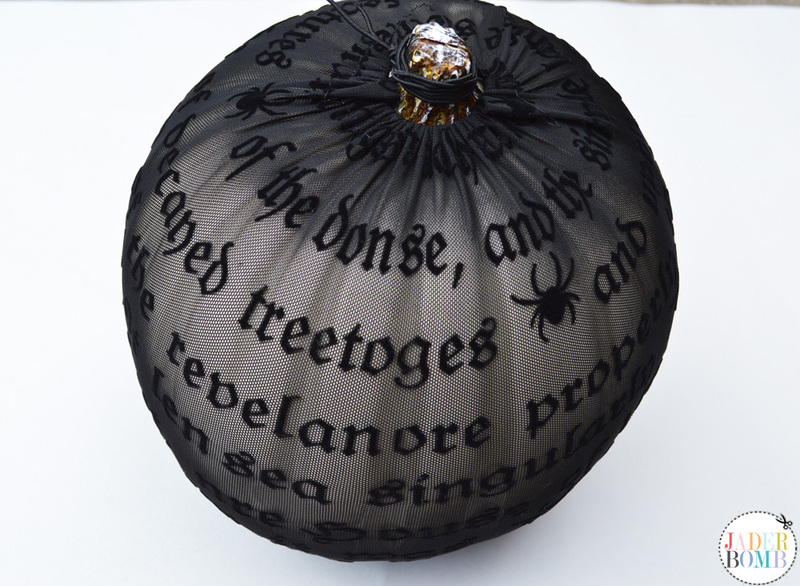 I’d really love to do a pumpkin this year (I’ve never done one actually) -Thanks for the inspiration – I think I’d already have the supplies for the lace one too.